Alternate nostril breathing: how Hillary Clinton coped with her election loss. The breathing technique that helped Hillary Clinton cope with her election loss. Former Secretary of State Hillary Clinton pauses while speaking during BookExpo 2017 on June 1 in New York City. The wine, we might have expected. Clinton has used the Chardonnay line before. But what about the “alternate nostril breathing”? These are varied methods, but all have a focus on deep breathing. And health experts agree that deep, slow breathing can help with stress, which in turn eases symptoms associated with anxiety, insomnia, post-traumatic stress disorder, depression, and attention deficit disorders. Although the mechanics behind these benefits aren’t known precisely, it seems consciously moving into deep controlled breathing sends a calming message to your autonomic nervous system, lowering stress levels and the production of stress hormones, as well as potentially slowing your heart rate and aiding digestion. So what exactly was Clinton doing when she practiced this technique? What it looks like, according to YouTube tutorials, is this: Using one finger, you cover one nostril and slowly inhale through the other. Then you switch. You cover the other nostril with a different finger on the same hand and slowly exhale through your now-uncovered nostril. You breathe back in, and then switch again for the exhale. You repeat this process several times, presumably until you feel sufficiently calm. It’s just breathing in one nostril and out the other, as straightforward as the name suggests. 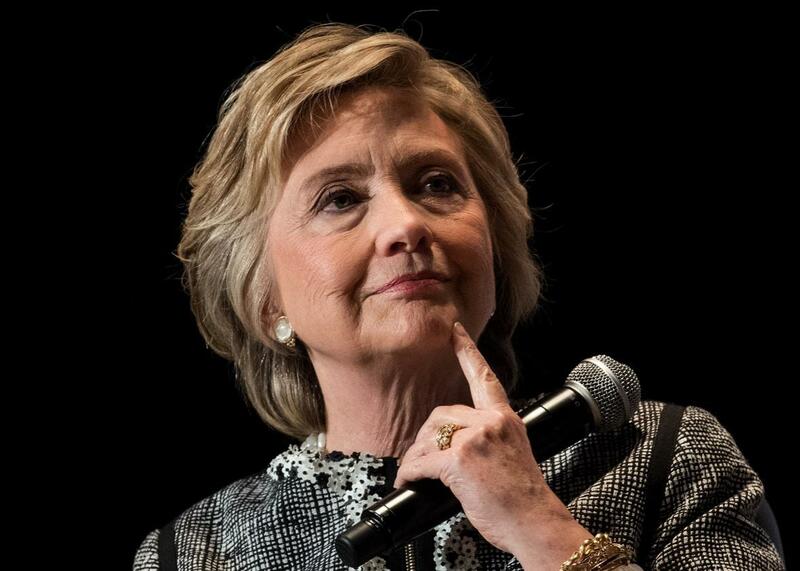 It might sound strange to hear Hillary Clinton use the words “alternate nostril breathing,” but it seems she simply focused on a yogic practice she found particularly calming. Maybe in her new book, What Happened, we’ll read about even more of Clinton’s stress-fighting tips. In the meantime, it might be worth considering trying out yogic breathing exercises. After all, in the Trump era, we all could use some stress-fighting tips.